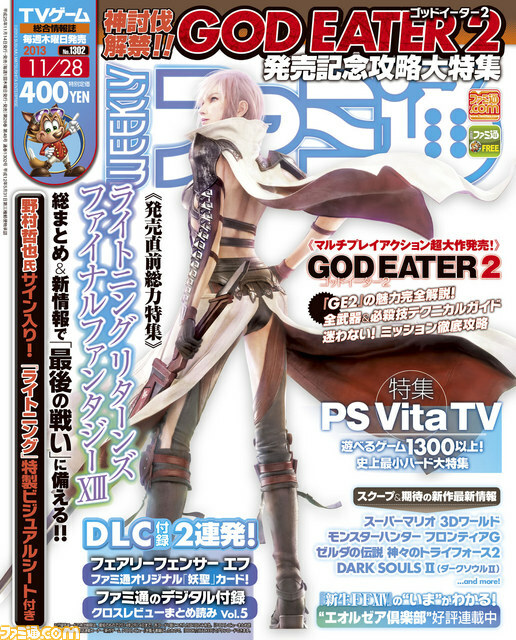 This week’s Famitsu has quite the scoop on Lightning Returns this week, including their expected four-person review. The team at Famitsu ended up scoring the game a 37/40 or 10, 10, 8, 9 individually. In comparison, Final Fantasy XIII was rated at 39/40 and XIII-2 a 40/40 in 2009 and 2011 respectively. According to the reviewers, the battles in Lightning Returns are interesting and the feel for speed is great. They are “extremely entertaining,” but if the player fails to pay attention to an enemy’s weakness even trash mobs can prove difficult. As a result, it’s important to make split-second decisions during battle. Even on Easy mode, Lightning Returns can be surprisingly difficult. The time constraints don’t appear to factor into that difficulty too much though, and didn’t stress the reviewers out much at all. It’s not all about the battles, though. Clearing quests is obviously the goal here and the amount of freedom given to the player is so high it’s easy to get lost in it. Hints for each quest are actually fairly scarce and as a result, it might take casual users a bit to get used to. Players can become absorbed in trying to complete a large number of quests, as well as customizing and strengthening Lightning. The level of uniqueness you can achieve with her appearance and ability setups is said to be “entertaining and stunning”. The reviewer also states that the game is quite beautiful. The translated material was provided by TensaiShojo. I thought it would be 41/40. It’s SE we are talking about. Famitsu gave FFXIII-2 a 40/40 and FFXIII a 39/40. Scores don’t mean jack. Edge gave XIV: ARR a 6/10, but that game was phenomenal. Not to mention I thought personally XIII was superior to XIII-2. Actually, 37/40 is still a pretty fantastic score. This is the same score given to Final Fantasy VIII, and both Final Fantasy IX and Final Fantasy VII received 38/40- just 1 point higher. Only Final Fantasy XII and XIII-2 have ever been awarded a perfect sore among the series, with FFX, FFXIII, and FFXIV:A Realm Reborn coming in at 39. For reference, Final Fantasy X-2 got a 34/40. only our own opinion matter after experiencing the matter ourselves. Yes, Famitsu is a bit of a soft touch. I’m genuinely surprised if I see a score below 36 from them, no matter the game or series. I was expecting a 38/40 actually, but its fine. I’m without words….but 37/40 is not bad at all. 37/40 is equivalent to 9.25, its a really good score indeed. Cool! There’s a complete review already? So they reviewed the game and three people gave it a high score, while another gave it a less high one? Is that supposed to be bad in some way? Lol. I don’t know if I’ll even care for reviews. There’s always a hate brigade trying to exaggerate everything into bad news and if that’s what this game will get then, do not want. I mean, okay you don’t like the game. We get it. We’ve gotten it since XIII came out. But honestly, a 37/40 review from Famitsu, I don’t see how it can be construed as bad. Score low? – there are haters. Score high? – there are still haters. That means scores aren’t important since players can be the only people who love it or not. 37/40 is still excellent. thats exactly my point. They gave those two a higher score than LR, therefore its very likely that LR wont be a better game than those two. Ergo – concern. well FF VIII and IX were in a much different time. You cant really compare this with how Famitsu rates games 15 years later. Thats why I rather compare it to the Famitsu scores of the last 5 years or so. Also can I say how unfair it is that my posts get voted down just for speaking my honest opinion. Its like the second you say something bad about LR you get dislikes. Very fair. I didn’t invent the downvote system, and honestly I don’t really like it either. I think it creates unconstructive popularity fights. Were I able to do anything about it, we wouldn’t even have a downvote system. 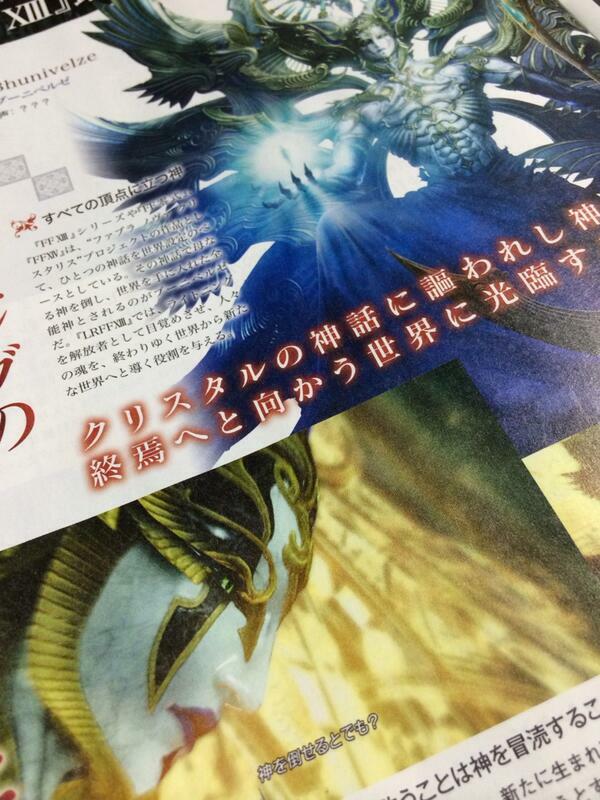 That said, Nova Crystallis has seen its share of trolls and baiters in recent days. There have been several instances of negative comments about Lightning Returns being worded to incite responses, which is followed by the original poster becoming very aggressive and even abusive. I don’t condone the downvotes and when people get out of hand I do step in, but I understand why it happens. And no, not really. Famitsu hasn’t really changed at all, and if anything you should be comparing its scores to games that actually share some gameplay systems and genre archetypes. Open-world games (along with many more action-oriented games) tend to get lower scores from Famitsu- Case in point being Xenoblade Chronicles, a game that is wildly popular in the US and yet only score a 36 from Famitsu. Finally, as I’ve mentioned a few times now in various places, you really need to look at the individual scores. 10/10/9/8. It’s just 2 points lower than XIII- from what I’ve heard, both of those points seem to be from a single person who enjoyed this game less than they enjoyed both XIII and XIII-2. Better is completely subjective, though. There are metric tons of games Famitsu has given ACTUALLY low scores to that are critical successes both in the west and elsewhere in Japan. By the same token, Famitsu gave XII and XIII-2 both perfect 40s- These two games are given an immense amount of flak in the West, not to mentioned the original XIII has received some of the most divided and polarized opinions the international Final Fantasy community has ever seen. And…suddenly two points behind FFXIII’s 38/40 and three points behind FFXIII-2’s 40/40 suddenly makes it a worse game by default because of four reviewers (scoring 10/10/8/9 apparently)? If you’re that big on reviews, be my guest and feel free to think it’s “very likely” a worse game than the first two, but that doesn’t make it fact that LR won’t be a better game. It’s all just subjective. I don’t know about you, but I myself am not going to lower my expectations because of four people’s reviews. At the end of the day it’s still a good score – a 9/10 (9.25, is it?). Far as I know the FFXIII fanbase throws a party every day that LR comes closer to release in Japanese and the English release next year. I do have confidence in Lightning Returns, but that’s not really what this is about. All I’m saying is that rather than reviews, people should really rely on their own experiences to decide their opinion on the game. I mean, the original XIII received a near-perfect score and yet in the West is saw massive hate. The reviews pointed at it being an amazing, definitive gaming experience and yet a fairly large group of people didn’t like it. Some even outright hate it. Really, I just think it’s better for people to form opinions on their own. Even though I do reviews, they’re more for people that have already played the games than they are for people on the fence about purchasing them. It’s just one viewpoint, and that should never be taken as fact. Even in this situation, with 4 separate viewpoints to look at, there’s obviously some disparity. Two people thought it was perfect, one person thought it came pretty close, and one person said it was good but basically has some flaws that prevent them from enjoying it. People are different, and fans can’t assume a reviewer can accurately speak for everyone. Just remember that 2 people gave LR 10 marks plus one with 9 and one with 8. There might be some points that they don’t like. XIII got 39 but because of its linearity, it was seriousy bashed. XIII-2 (which featured a very enjoyable battle system) got perfect score but it didn’t impressed those who loved XIII. So, scores cannot impress. Update: Apparently, reviewers found the game to be very difficult even when on easy. Translations are still cursory and being revised, but it looks like the reviewers got lost a lot and it’s really hard to find in-game hints for quests. Generally Famitsu give Open-world and action-oriented games low scores. No problem. Those are scores. But predicting game quality by their scores is not very good. I wish LR or perhaps XV will unite us once again. Also I’d like to take a moment just to say that we at Nova Crystallis take ban evasion very seriously. It’s come to mine and Erren’s attention in the last few weeks that some people who were banned for very destructive or abusive behavior have managed to make new accounts or otherwise slip through the net. Make no mistake- we don’t shrug that kind of thing off or look the other way. Whenever a suspicious account comes up, it gets discussed and investigated. If you’ve been given a permanent ban, it’s really best to just walk away. Erren is the site owner, and editor-in-chief. I’m mostly a writer, but I’m also largely in charge of the comments section and help out where possible with translations. The Nova Crystallis family of staff is larger than just the two of us, of course, but we’re the most active and in-contact with the community for the time being. I think the confusing thing comes from the fact that her name is Erren and my name is Ehren- both fairly unique takes on a common name. You got downvoted. Probably by the person who made the alt account. Does by chance the Doomsday clock have anything to do with this? All right, article updated with the information our translator found out! Apparently not! I just finished the update, but apparently it’s not the time limit but the need for strategy with enemy weaknesses that tripped them up. This is good news! It’s been my one fear with LR since I like to sidetrack to check for hidden details around the locales or to simply appreciate the art direction. Thanks for the update too! Lmao it’s the best game in the XIII series then. Can’t wait! It gave FFX a 6/10 as well. Whatever Edge. That’s the aspect of the game I’m mostly excited for! I do hope we get to see them like that in LR. Thats an interesting score…… pointing out that the same Famitsu gave XIII-2 a perfect 40/40…… But personally I adore XIII more than XIII-2 and also from what i’m seeing from LR footages….. it deserves more, but whatever. Reviews ain’t gonna stop me from buying LR. Lol famitsu. Nothing to add. Wow the same score as the 3rd Birthday, another Toriyama and Kitase master piece? In the end, the dynamic duo’s combined efforts produced the two lowest scored FF games of the last 20 years… Maybe they should get a promotion? 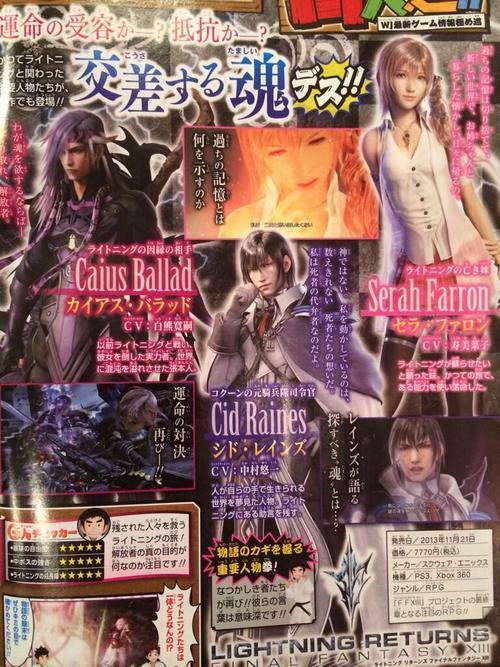 Rumor has it that this week’s Famitsu actually contains a report that’s over 10 pages long on Lightning Returns, some of which is very spoilery. The translated information from above is just a summary, with a longer interview on the way. 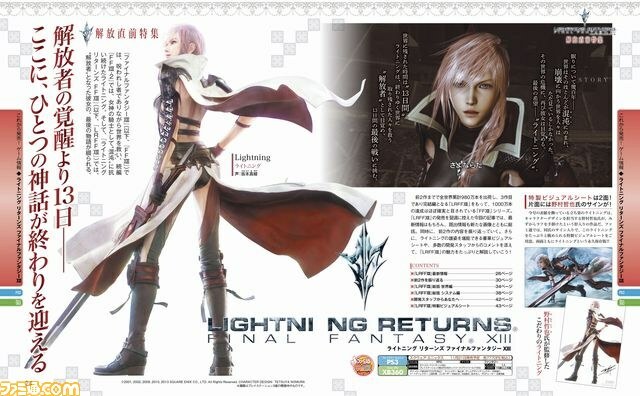 Apparently, there is at least one new render of Lightning and possibly some other new artwork. “They are “extremely entertaining,” but if the player fails to pay attention to an enemy’s weakness even trash mobs can prove difficult. As a result, it’s important to make split-second decisions during battle. Even on Easy mode”-Oh,so it ain’t spam X to win,eh?Well,well.this won’t stop the fans,though.They will most likely complain about difficulty and say how great a battlem system that only requires you to press a button is. Only thing I didn’t like with his review is that he gave ammo to the haters.Oh well.2 points,to us,is dirt,but to them,well,it1s like the distance between the 1 floor and the 20 floor of a building. 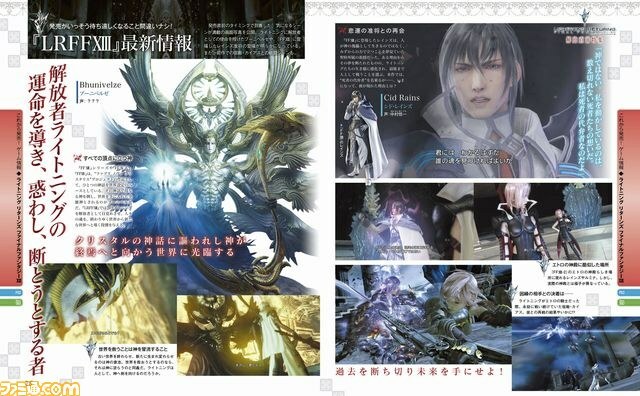 Well well.Interesting.When is famitsu out and this news here in this page? the complaints they had are all great things IMO, it should be difficult, as a player i should pay attention to every important aspect such as enemy weakness. it should to prove challenging to me. I achieved platinum trophies for both XIII and XIII-2 and i still wanted more. So a lot of quests is more than welcome. 37/40 is still a great a score, i can’t wait to play this game. So, the complain is just about the difficult and the hints? Actually, that’s good! XIII-2 was too, too, easy! Well id give it a higher rating, 13-2 got a 40!?!?!?!? Too easy for me, 35/40 lol 😛 Omg this game is going to be GREAT! Going to be looking for people to post videos, if permitted, of the imported version! The fact that LR got a lower score than both of its predecessors worries me. I loved XIII, but XIII-2’s story, characters, and time traveling didn’t interest me that much, so I’m not too thrilled about this game supposedly being inferior to it. But it’s only one review, and it’s close to a perfect score, so maybe I shouldn’t take my worries too seriously. XIII 39 and LR looks already much better than the previous titles. So much things to do, find interesting places, awesome gameplay, exciting story, cool characters, impressive “open” world and an epic soundtrack. I’ll stop read the news about the game. Too much spoilers…….but I can’t resist……what do i do? What they talked about the plot? Yosh~! Huge update! 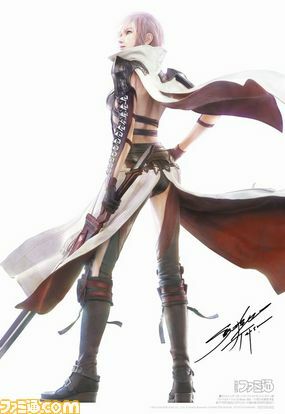 Lightning new render unveiled! Sorry, I don’t like the guy who runs that site. A 37/40 from Famitsu is like a 3/10 from a normal gaming review. Do you know if the reviewers liked the game’s story in the article? That info hasn’t leaked yet to my knowledge. Please, stop replying to Mark. These arguments are getting out of hand, and if they continue I’ll be taking action. Walk away. well,they never said Nora wouldn’t be in it,just that NORA wouldn’t.get it,lol? that is called character interaction and caracter development,sthings that only recently started to appear in FF.I say that X was one of the first to do it. to some people out there,30=0,31=1,and so on. man,the game was worth a 8-8,5 . It was great.Oh well,I don’t read it,and never will. not every page has such an efficient and dedicated staff member and mod. Clearly one is Rin and one is Len. Downvote me all you want, but there’s a reason most fansite owners avoid him and that site. Err…I don’t use Square Portal very often, but is this something that people should know? Well, it’s relevant at least when it comes to linking on this site. We’ve got people we work well with and there’re plenty of sites we’re friendly with, but the relationship between us and that site is strained to say the least. It’s understandable that Erren would want to ask people to refrain from linking images and articles coming out of that site. Both names start with an “E”. Both names end with “ren”. They gave 13-2 a perfect score? really? Its hard for me to take Famitsu too serious. It was a joke. 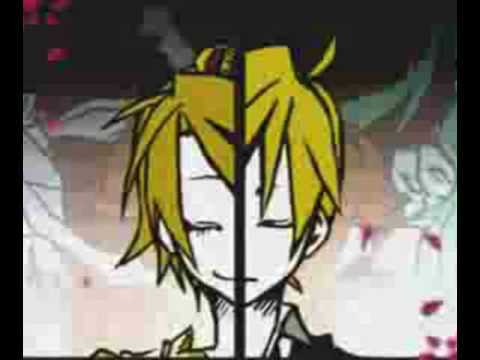 Rin and Len are two Vocaloids, twins. I definitely know which one is Ehren and which is Erren, haha. Even though Famitsu is apparently pretty soft when it comes to rating something, it’s nice to know that it got received well by someone already. Not that it matters to me, I already like what I see enough to buy it. ’cause today the new cool is to bash a game. Except for COD and FPS. They’re always PERFECT. LOL, gaming websites. LOL. well, XIII-2 is not better than FFVII, FFX, or FFVI only because it got a higher score. Not sure why you had downvotes on your comment. I loved XIII and XIII-2, but they were by no means a perfect game. 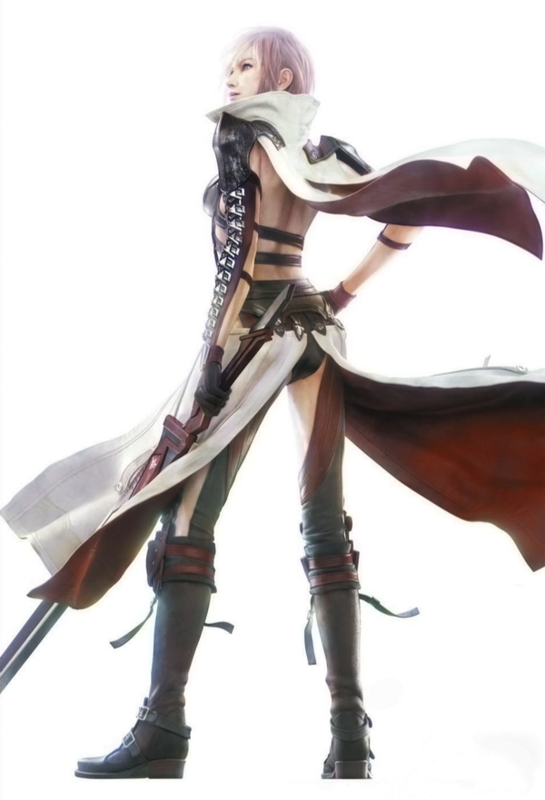 I’m quite infatuated with the story, and I’m extremely looking forward to Lightning Returns. From what I’ve seen and heard, Lightning Returns seems to be the best game in the XIII trilogy. It’s confusing to me how the past two games have a better score than it. Because story is fairly subjective, and that was FFXIII-2’s only real flaw (in my opinion). If you just happen to love the story, the game could be considered pretty nearly perfect (no game ever created is perfect, so unless you intend for 10/10s to be non-existent, it doesn’t mean perfect). It’s pretty easy to justify a 40/40 if the story worked for you. XIII was so on rails and automated it bored me to death. It was about as much of a “game” as watching The Spirits Within but having to press x-x-x-x to keep it playing. Especially coming off the huge engrossing world of X and the great combat, gambits and leveling systems in XII – XIII was just such a disappointment that I never played XIII-2. So yeah, I agree, if Famitsu gave XIII a 39/40, I really don’t care what they have to say about Lightning Returns. So it’s going back to something like the difficulty level from the original XIII, except you have to play with only one character….this game is going to be hard as hell for me but my policy is always to play on Standard/ Normal mode. *lol* I really hope you can at least make Lightning powerful as hell. i my self love sooo much the whole story of final fantasy 13 from the begening, this 3rd chapter its too fantastic too.but i hate the limited time you to play the whole game following time before pass away and finishing it in time .its very hard game really i wish theres no time to play free and take my whole time watching outstanding grafics and play all mission in the game . other than that , i love it so much. aww…the old ‘CoD’ argument. Anytime you butthurt weaboos use that as a way to somehow discredit western reviews, i can’t help but laugh at your desperation. Those FPS games still have more polish than the lazy recycled garbage japan has been crapping out the last couple years.